^ Wheeler, Quentin D. (2004). "Taxonomic triage and the poverty of phylogeny". In H.C.J. Godfray & S. Knapp. Taxonomy for the twenty-first century. Philosophical Transactions of the Royal Society. 359. pp. 571–583. doi:10.1098/rstb.2003.1452. PMC 1693342. PMID 15253345. ^ "A Few Bad Scientists Are Threatening to Topple Taxonomy". Smithsonian. Retrieved 2019-02-24. This timeline of the evolutionary history of life represents the current scientific theory outlining the major events during the development of life on planet Earth. In biology, evolution is any change across generations in the heritable characteristics of biological populations. Evolutionary processes give rise to diversity at every level of organization, from kingdoms to species. The similarities between all present day organisms indicate the presence of an ancestor from which all known species, living. 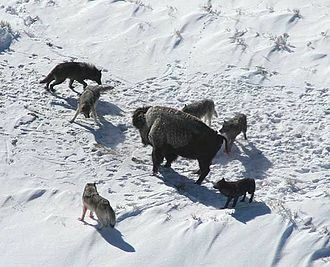 More than 99 percent of all species, amounting to five billion species. Estimates on the number of Earths current species range from 10 million to 14 million, of which about 1.2 million have been documented and over 86 percent have not yet been described. 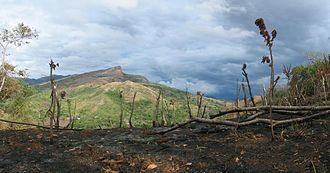 Species go extinct constantly as environments change, organisms compete for environmental niches, occasionally biodiversity on the planet takes a hit in the form of a mass extinction in which the extinction rate is much higher than usual. A large extinction event often represents an accumulation of smaller extinction events that take place in a brief period of time. 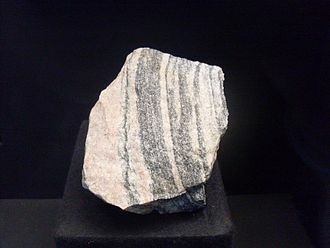 The first known mass extinction in earths history was the Great Oxygenation Event 2.4 billion years ago, the event led to the loss of most of the planets obligate anaerobes. The Holocene extinction event is currently under way, in this timeline, Ma means million years ago, ka means thousand years ago, and ya means years ago. 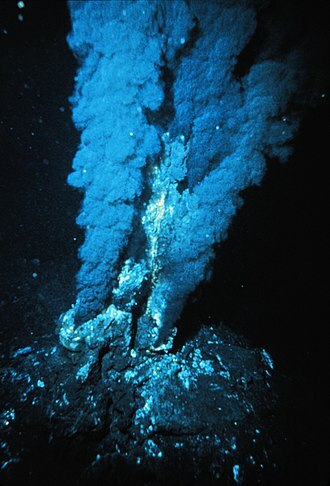 4000 Ma –2500 Ma 2500 Ma –542 Ma, contains the Palaeoproterozoic and Neoproterozoic eras. 542 Ma – present The Phanerozoic Eon, literally the period of well-displayed life, marks the appearance in the record of abundant. It is subdivided into three eras, the Paleozoic and Cenozoic, which are divided by mass extinctions. 542 Ma –251.0 Ma and contains the Cambrian, Silurian, Carboniferous, from 251.4 Ma to 66 Ma and containing the Triassic and Cretaceous periods. 66 Ma – present Dawkins, the Ancestors Tale, A Pilgrimage to the Dawn of Life. Understanding Evolution, your one-stop resource for information on evolution, explore complete phylogenetic tree interactively Brandt, Niel. Additionally, this evidence supports the modern evolutionary synthesis—the current scientific theory that explains how and why life changes over time. Evolutionary biologists document evidence of descent by developing testable predictions, testing hypotheses. Additional genetic information conclusively supports the relatedness of life and has allowed scientists to develop phylogenetic trees and it has led to the development of molecular clock techniques to date taxon divergence times and to calibrate these with the fossil record. Fossils are important for estimating when various lineages developed in geologic time, vestigial structures and comparisons in embryonic development are largely a contributing factor in anatomical resemblance in concordance with common descent. 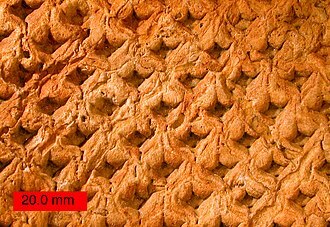 Since metabolic processes do not leave fossils, research into the evolution of the cellular processes is done largely by comparison of existing organisms physiology. Many lineages diverged at different stages of development, so it is possible to determine when certain metabolic processes appeared by comparing the traits of the descendants of a common ancestor and this is especially obvious in the field of insular biogeography. 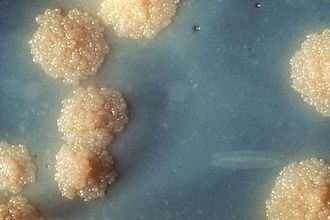 The development and spread of resistant bacteria provides evidence that evolution due to natural selection is an ongoing process in the natural world. Natural selection is ubiquitous in all research pertaining to evolution, taking note of the fact all of the following examples in each section of the article document the process. Alongside this are observed instances of the separation of populations of species into sets of new species, speciation has been observed directly and indirectly in the lab and in nature. Multiple forms of such have been described and documented as examples for individual modes of speciation, one of the strongest evidences for common descent comes from the study of gene sequences. Comparative sequence analysis examines the relationship between the DNA sequences of different species, producing several lines of evidence that confirm Darwins original hypothesis of common descent. If the hypothesis of common descent is true, species that share a common ancestor inherited that ancestors DNA sequence, more closely related species have a greater fraction of identical sequence and shared substitutions compared to more distantly related species. In population genetics, gene flow is the transfer of alleles or genes from one population to another. Migration into or out of a population may be responsible for a change in allele frequencies. Immigration may result in the addition of new variants to the established gene pool of a particular species or population. There are a number of factors affect the rate of gene flow between different populations. One of the most significant factors is mobility, as greater mobility of an individual tends to give it greater migratory potential, animals tend to be more mobile than plants, although pollen and seeds may be carried great distances by animals or wind. Maintained gene flow between two populations can lead to a combination of the two gene pools, reducing the genetic differentiation between the two groups. 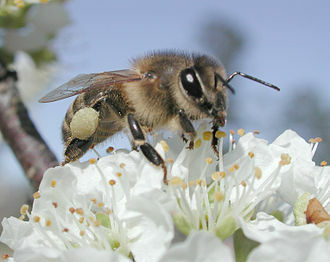 For example, if a species of grass grows on both sides of a highway, pollen is likely to be transported from one side to the other, physical barriers to gene flow are usually, but not always, natural. They may include mountain ranges, oceans, or vast deserts. In some cases, they can be artificial, man-made barriers, such as the Great Wall of China and this is because Ulmus pumila has wind-pollination as its primary means of propagation and the latter-plants carry out pollination through insects. Samples of the species which grow on either side have been shown to have developed genetic differences. Barriers to gene flow need not always be physical, species can live in the same environment, yet show very limited gene flow due to limited hybridization or hybridization yielding unfit hybrids. Female choice can play a role in hindering gene flow, males in the northern population respond strongly to the local male songs but relatively weakly to the nonlocal songs of southern males. In contrast, southern males respond equally to both local and nonlocal songs, a barrier to gene flow exists from South to North as a result of the female preference. Horizontal gene transfer is the transfer of genes between organisms, either through hybridization, antigenic shift, or reassortment is sometimes an important source of genetic variation, viruses can transfer genes between species. Starting with a recent single ancestor, this process results in the speciation and phenotypic adaptation of an array of species exhibiting different morphological and physiological traits. 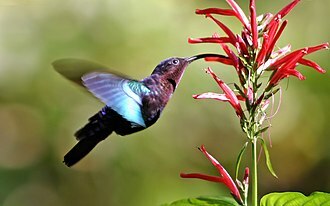 An example of radiation would be the avian species of the Hawaiian honeycreepers. Via natural selection, these birds adapted rapidly and converged based on the different environments of the Hawaiian islands, much research has been done on adaptive radiation due to its dramatic effects on the diversity of a population. 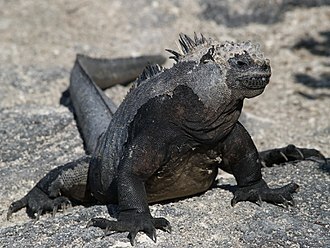 However, more research is needed, especially to fully understand the factors affecting adaptive radiation. Both empirical and theoretical approaches are helpful, though each has its disadvantages, in order to procure the largest amount of data and theoretical approaches must be united. Four features can be used to identify an adaptive radiation, A common ancestry of component species, note that this is not the same as a monophyly in which all descendants of a common ancestor are included. A phenotype-environment correlation, a significant association between environments and the morphological and physiological traits used to exploit those environments, trait utility, the performance or fitness advantages of trait values in their corresponding environments. Rapid speciation, presence of one or more bursts in the emergence of new species around the time that ecological, the evolution of a novel feature may permit a clade to diversify by making new areas of morphospace accessible. A classic example is the evolution of a cusp in the mammalian tooth. This trait permits a vast increase in the range of foodstuffs which can be fed on, evolution of this character has thus increased the number of ecological niches available to mammals. The trait arose a number of times in different groups during the Cenozoic, birds find other ways to provide for each other, i. e. the evolution of flight opened new avenues for evolution to explore, initiating an adaptive radiation. 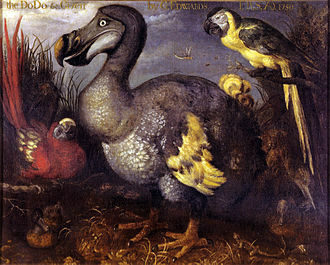 Other examples include placental gestation, or bipedal locomotion, one famous example where adaptive radiation is seen is with Darwins finches. It has been observed by many evolutionary biologists that fragmented landscapes are often a prime location for adaptive radiation to occur, the differences in geography throughout disjointed landscapes such as islands are believed to promote such diversification. Evolutionary thought, the conception that species change over time, has roots in antiquity - in the ideas of the ancient Greeks and Chinese as well as in medieval Islamic science. 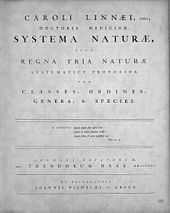 Naturalists began to focus on the variability of species, the emergence of paleontology with the concept of extinction further undermined static views of nature, in the early 19th century Jean-Baptiste Lamarck proposed his theory of the transmutation of species, the first fully formed theory of evolution. 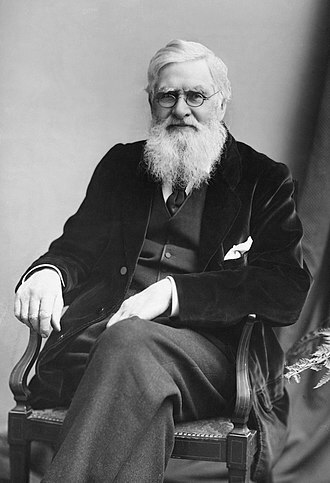 In 1858 Charles Darwin and Alfred Russel Wallace published a new evolutionary theory, unlike Lamarck, Darwin proposed common descent and a branching tree of life, meaning that two very different species could share a common ancestor. Darwin based his theory on the idea of selection, it synthesized a broad range of evidence from animal husbandry, geology, morphology. Before that time most biologists regarded other factors as responsible for evolution, alternatives to natural selection suggested during the eclipse of Darwinism included inheritance of acquired characteristics, an innate drive for change, and sudden large mutations. Paleontology and comparative anatomy allowed more detailed reconstructions of the history of life. After the rise of genetics in the 1950s, the field of molecular evolution developed, based on protein sequences and immunological tests. In the late 20th-century, DNA sequencing led to molecular phylogenetics, in addition, the newly recognized factors of symbiogenesis and horizontal gene transfer introduced yet more complexity into evolutionary theory. Discoveries in evolutionary biology have made a significant impact not just within the branches of biology. 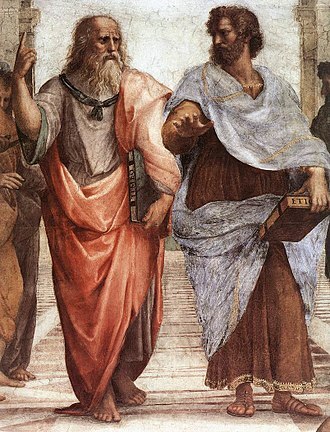 Proposals that one type of animal, even humans, could descend from other types of animals, are known to go back to the first pre-Socratic Greek philosophers. He argued that the first human of the form known today must have been the child of a different type of animal, because man needs prolonged nursing to live. Empedocles, argued that what we call birth and death in animals are just the mingling, Plato was called by biologist Ernst Mayr the great antihero of evolutionism, because he promoted belief in essentialism, which is referred to as the theory of Forms. Historians of science such as Peter J. There were four major alternatives to natural selection in the late 19th century, the idea that evolution was driven by the inheritance of characteristics acquired during the life of the organism was called neo-Lamarckism. Theistic evolution largely disappeared from the literature by the end of the 19th century as direct appeals to supernatural causes came to be seen as unscientific. Ernst Mayr wrote that as late as 1930 most textbooks still emphasized such non-Darwinian mechanisms, evolution was widely accepted in scientific circles within a few years after the publication of On the Origin of Species, but acceptance of natural selection as its driving mechanism was much less. There were a variety of different factors that motivated people to propose other mechanisms as alternatives to natural selection. Some of these scientists and philosophers, like St. George Jackson Mivart and Charles Lyell, such as Herbert Spencer, the botanist George Henslow, and Samuel Butler, felt that evolution was an inherently progressive process that natural selection alone was insufficient to explain. They distrusted the work of naturalists like Darwin and Alfred Russel Wallace, dependent on field observations of variation, similarly, Louis Agassiz saw the recapitulation theory as symbolising a pattern of the sequence of creations in which humanity was the goal of a divine plan. In 1844 Vestiges adapted Agassizs concept into theistic evolutionism and its anonymous author Robert Chambers proposed a law of divinely ordered progressive development, with transmutation of species as an extension of recapitulation theory. 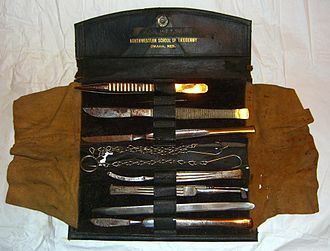 This popularised the idea, but it was condemned by the scientific establishment. Agassiz remained forcefully opposed to evolution, and after he moved to America in 1846 his idealist argument from design of development became very influential. In 1858 Owen cautiously proposed that development could be a real expression of a continuing creative law. Many of Darwins supporters accepted evolution on the basis that it could be reconciled with design, in particular, Asa Gray considered natural selection to be the main mechanism of evolution and sought to reconcile it with natural theology. The taxa joined together in the tree are implied to have descended from a common ancestor. Phylogenetic trees are central to the field of phylogenetics, each node is called a taxonomic unit. Internal nodes are generally called hypothetical taxonomic units, as they cannot be directly observed, Trees are useful in fields of biology such as bioinformatics and phylogenetic comparative methods. Unrooted trees illustrate only the relatedness of the nodes and do not require the ancestral root to be known or inferred. The idea of a tree of life arose from ancient notions of a progression from lower to higher forms of life. Charles Darwin produced one of the first illustrations and crucially popularized the notion of a tree in his seminal book The Origin of Species. Over time, species classification has become static and more dynamic. A rooted phylogenetic tree is a tree with a unique node corresponding to the most recent common ancestor of all the entities at the leaves of the tree. The most common method for rooting trees is the use of an uncontroversial outgroup—close enough to allow inference from trait data or molecular sequencing, unrooted trees illustrate the relatedness of the leaf nodes without making assumptions about ancestry. A transitional fossil is any fossilized remains of a life form that exhibits traits common to both an ancestral group and its derived descendant group. This is especially important where the descendant group is sharply differentiated by gross anatomy and these fossils serve as a reminder that taxonomic divisions are human constructs that have been imposed in hindsight on a continuum of variation. Because of the incompleteness of the record, there is usually no way to know exactly how close a transitional fossil is to the point of divergence. 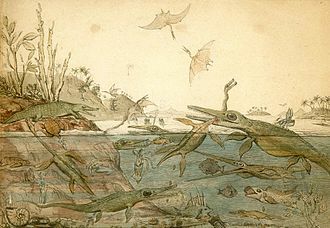 Therefore, it cannot be assumed that transitional fossils are direct ancestors of more recent groups, in 1859, when Charles Darwins On the Origin of Species was first published, the fossil record was poorly known. 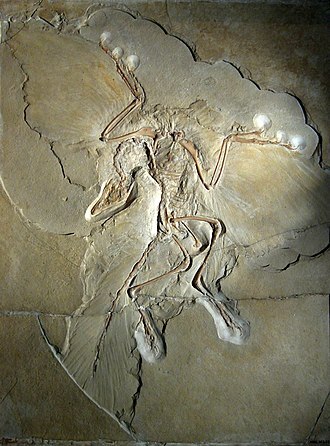 Indeed, Archaeopteryx was discovered just two later, in 1861, and represents a classic transitional form between dinosaurs and birds. 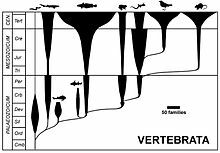 Many more transitional fossils have been discovered since then, and there is now abundant evidence of how all classes of vertebrates are related, specific examples include humans and other primates and fish, and birds and dinosaurs. The term missing link has been used extensively in popular writings on evolution to refer to a perceived gap in the hominid evolutionary record. It is most commonly used to refer to any new transitional fossil finds, however, do not use the term, as it refers to a pre-evolutionary view of nature. Transitional forms are seen as falling between the groups in terms of anatomy, having a mixture of characteristics from inside and outside the newly branched clade. With the establishment of cladistics in the 1990s, relationships commonly came to be expressed in cladograms that illustrate the branching of the lineages in stick-like figures. The different so-called natural or monophyletic groups form nested units, while in traditional classification tetrapods and fish are seen as two different groups, phylogenetically tetrapods are considered a branch of fish. Thus, with there is no longer a transition between established groups, and the term transitional fossils is a misnomer. Differentiation occurs within groups, represented as branches in the cladogram, such early representatives of a group are usually termed basal taxa or sister taxa, depending on whether the fossil organism belongs to the daughter clade or not. 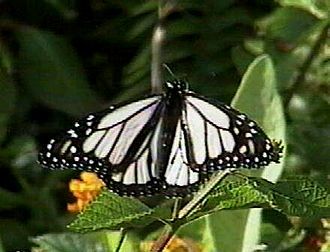 A source of confusion is the notion that a transitional form between two different taxonomic groups must be an ancestor of one or both groups. The "Paleontological Tree of the Vertebrates," from the 5th edition of The Evolution of Man (London, 1910) by Ernst Haeckel. The evolutionary history of species has been described as a tree, with many branches arising from a single trunk. Charles Darwin proposed the theory of evolution by natural selection. 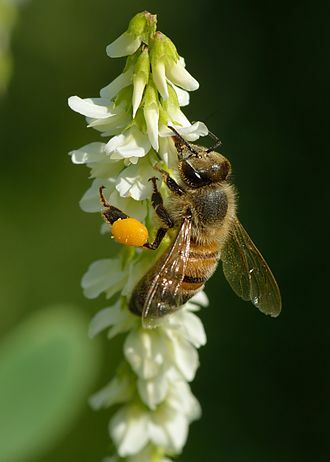 Darwin noted that orchids have complex adaptations to ensure pollination, all derived from basic floral parts. 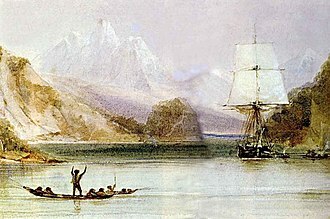 Figure 1a: While on board HMS Beagle, Charles Darwin collected numerous specimens, many new to science, which supported his later theory of evolution by natural selection. Figure 3b: Fossil trilobite, Kainops invius, from the early Devonian. Trilobites were hard-shelled arthropods, related to living horseshoe crabs and spiders, that first appeared in significant numbers around 540 mya, dying out 250 mya. Figure 3c: Skull of Cynognathus, a eucynodont, one of a grouping of therapsids ("mammal-like reptiles") that is ancestral to all modern mammals. 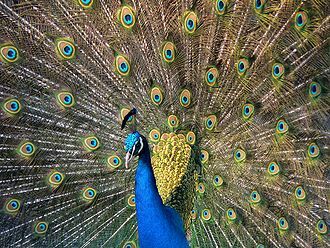 A male peacock with its beautiful but clumsy, aerodynamically unsound erectile tail, which Amotz Zahavi believes is a handicap, comparable to a race horse's handicap. The larger the handicap the more intrinsically fit the individual (see text). The best horses in a handicap race carry the largest weights, so the size of the handicap is a measure of the animal's quality. 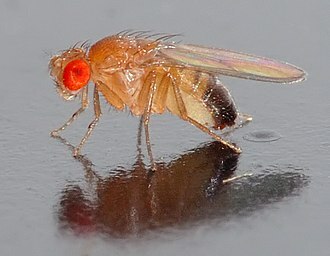 Sexual conflict has been studied in Drosophila melanogaster (shown mating, male on right). Acanthodians were among the earliest vertebrates with jaws. The size and shape of the skull changed over time. The leftmost, and largest, is a replica of a modern human skull. 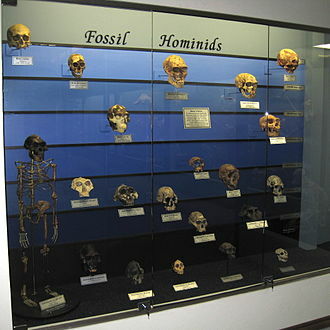 Fossil hominid evolution display at The Museum of Osteology, Oklahoma City, Oklahoma, U.S.. The tree of life as depicted by Ernst Haeckel in The Evolution of Man (1879) illustrates the 19th-century view of evolution as a progressive process leading towards man. Louis Agassiz (here in 1870, with drawings of Radiata) believed in a sequence of creations in which humanity was the goal of a divine plan. Alpheus Spring Packard's 1872 book Mammoth Cave and its Inhabitants used the example of cave beetles (Anophthalmus and Adelops) that had become blind to argue for Lamarckian evolution through inherited disuse of organs. Henry Fairfield Osborn's 1918 book Origin and Evolution of Life claimed the evolution of Titanothere horns was an example of an orthogenetic trend in evolution. Among the centipedes, all members of the Geophilomorpha are constrained by a developmental bias to have an odd number of segments, whether as few as 27 or as many as 191. The mathematical biologist John Maynard Smith modelled evolutionary games. War of attrition for different values of resource. Note the time it takes for an accumulation of 50% of the contestants to quit vs. the Value(V) of resource contested for.